Miryha is found at slip #5 at the Saugatuck Yacht Service. Not the Saugatuck Yacht Club; which, is on the other side of the Kalamazoo river. We have had some issues in the past. For those of you who know Saugatuck well, Miryha is located in front of the Peterson Mill. 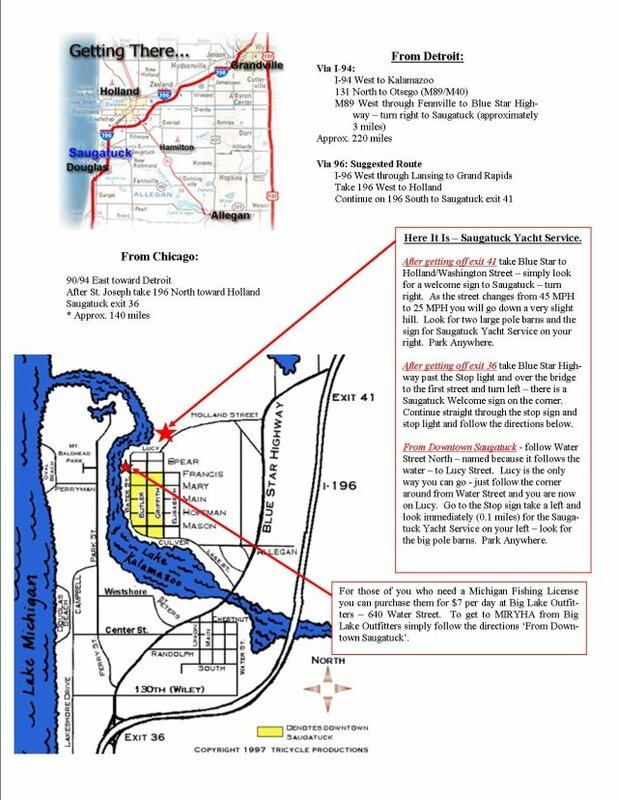 Park in the Marina parking areas (inside the large boat barns is OK) and head south (toward downtown Saugatuck) between the White and Tan buildings to find us ready to go. Give us a call if you have any issues finding the Saugatuck Yacht Service – 616 836-0439. 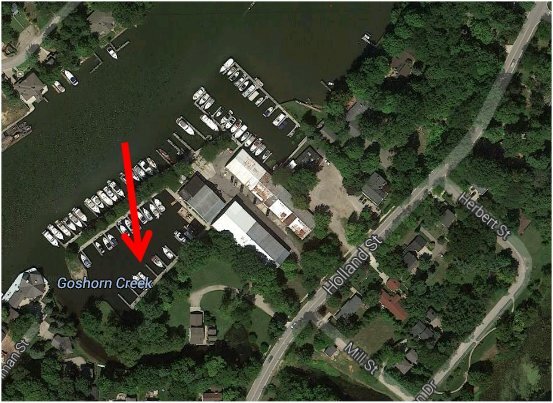 Make sure you scroll down to see the Google Earth picture to get better acquainted with our location at the Marina. To find my boat on Google try searching “Miryha Charters Saugatuck Charter Fishing”. See the address on the Google Maps picture below: You can click on “View larger map” below to get to Google Maps directly.